A fellow Syracuse alum asked me today if I thought Syracuse would beat LSU at any point on Saturday. I responded with no, not just because SU hasn’t won that kind of game in a while, but because I watched zero minutes of said game. This isn’t a column to bash Syracuse football. Who knows, missing a game may make me unqualified to even write this column. 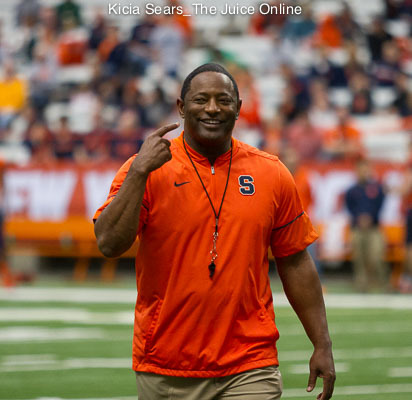 Rather, this is a column on Syracuse football’s relevance in the college football world. To be relevant, you have to win. 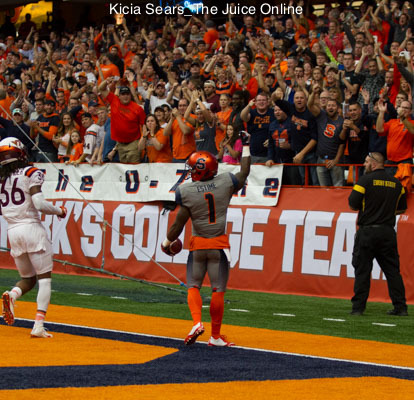 Syracuse football has indeed been relevant before. And it may well get there again in the coming seasons. But one close game against a so-called power that may not even be that good this year should down any premature talk of relevancy. If there even was any. In today’s crazy sports world, it takes years, even decades, to build up relevancy. Syracuse made two bowl games when I was there. But it still wasn’t quite on the relevance scale. Even big-time schools go through relevancy droughts. Syracuse has been in a drought for some time and has firmly established itself as a basketball school. That’s not to say football can never reestablish itself. But once you brand yourself as a basketball school, you’re setting that standard. Again, not doubling up on the “Syracuse is a basketball school” rhetoric. I’m just saying that those seats in the Dome will continue to be filled for basketball because for the most part, as of late, Cuse hoops consistently wins. Unlike the football team. 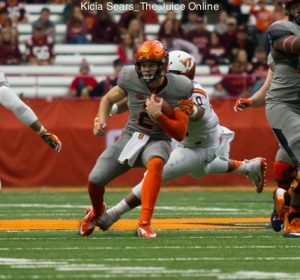 It will take years for Cuse football to get there. That’s OK. They’re making efforts. It’s a good program on the rise. But there is no quick fix. There will be people who say SU should have beaten LSU last weekend. That there are no moral victories. But after losing to Middle Tennessee State, playing close with LSU is progress. You can only hope that one day those close losses turn to wins. No guarantee. But maybe, just maybe, there is the start of another foundation happening in Central New York. It’s not impossible. Certainly helps to be optimistic these days.